Compare the various features of our Inspiron models and find the one that’s perfect for you. Micro desktops, small desktops and desktops featuring Intel® and AMD processors and plenty of storage space for the latest entertainment and productivity features. Space-saving all-in-one desktops with easy, all-in-one set-up. Featuring Intel® processors and wide-screen viewing. Powerful, 24-inch all-in-one desktop with rich multimedia features. With Intel processors, Full HD and built-in performance speakers. Ultrathin 24-inch all-in-one desktop offers dynamic performance designed to impress. Featuring Intel® RealSense™ Camera and Windows Hello. Inspiron desktops and all-in-ones are designed with innovative technology to keep you connected to what matters. With latest processors, graphics, audio and groundbreaking 3D camera technology, you can blur the line between work and play. Everything you need arrives in one attractive package: computer, display, speakers, mouse and keyboard. Stunning Full HD displays allow wide viewing for work, play or sharing. Right out of the box, the only set up required is a single cord. The Intel® RealSense™ Camera redefines how you interact with your new Dell PC. Its depth-sensing technology lets you scan 3D objects, use gestures to control your system or play games, and even create a life like video chat environment right from your PC. And with the Windows Hello1 feature, you can log in with a look at the 3D camera adding extra security and convenience to your experience; no more need to remember passwords. 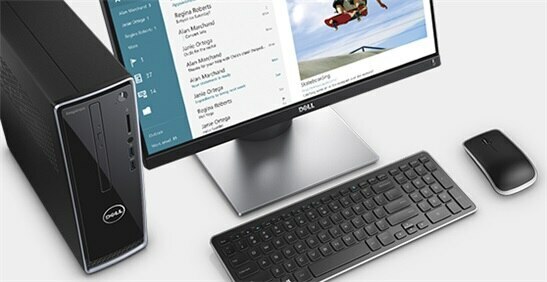 Available on the Inspiron 24 7000 Series All-in-One. Elegance: Razor thin panel in an ergonomic, clutter-free design that blends with a modern home or office space. Innovation: The built-in 3D camera brings a new dimension to PC usage. Practicality: A robust, solid aluminum base with durable hinge and articulating stand allows the lightweight display panel to tilt, fold and maneuver to your comfort and to optimize the touch experience. Impressive from every angle: Enjoy the best front-of-screen experience with IPS technology, offering wide, 178-degree viewing and sharp color consistency. Never cut corners: The edge-to-edge glass display offers easy and accurate navigation with precision swiping, pinching and zooming using only a light touch. Dell joined forces with Waves to bring studio-quality sound to Inspiron desktops and all-in-ones, thanks to their audio enhancing software, MaxxAudio Pro. Whether you’re mixing, streaming, gaming or chatting, you’ll find a noticeable difference and immersive experience with MaxxAudio Pro, delivering bigger bass, brighter highs, clearer voices, and more volume to your Dell all-in-one desktops or your Dell peripheral speakers. Activate Windows 10 Cortana on your Dell all-in-one with Waves MaxxAudio Pro for a natural, interactive voice experience and get things done quickly and precisely. 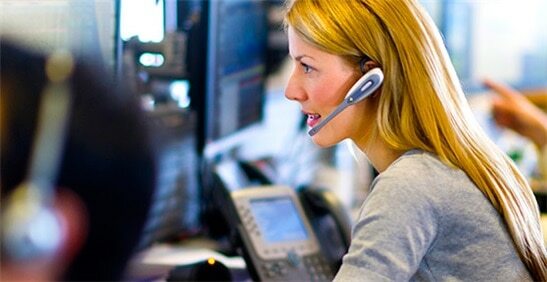 ProSupport Plus is the most complete service and support service in the industry. You get 24x7 priority access to help for hardware and software challenges, accidental damage repairs, optional return of replaced hard drives, and even onsite support. 22-inch all-in-one desktop delivers seamless streaming for video and chats all in one place with Full HD on a wide-angle IPS display with pop-up webcam.